Every generation of Christians since the time of Jesus has had to face attacks upon Scripture from an unbelieving and hostile world. And in every generation, men and women have stood for the absolute inerrancy and infallibility of Scripture as essential to the health and welfare of the church. From his work with the International Council on Biblical Inerrancy to his many lectures and writings, Dr. R.C. Sproul has been a leader in the defense of the infallibility and inerrancy of Scripture during our time. This new book collects four previously published articles by Dr. Sproul on this subject, The Chicago Statement on Biblical Inerrancy and his commentary on it, and The Ligonier Statement on biblical authority, which helped lay the groundwork for the work of the International Council. 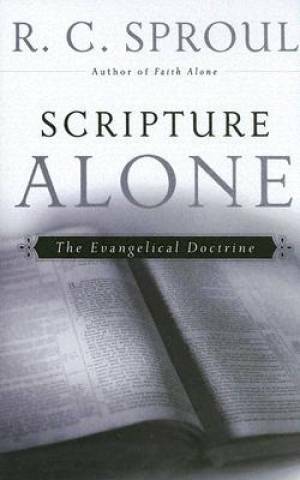 Scripture Alone: the Evangelical Doctrine by R. C Sproul was published by P & R Publishing in July 2005 and is our 27991st best seller. The ISBN for Scripture Alone: the Evangelical Doctrine is 9781596380103. Be the first to review Scripture Alone: the Evangelical Doctrine! Got a question? No problem! Just click here to ask us about Scripture Alone: the Evangelical Doctrine.